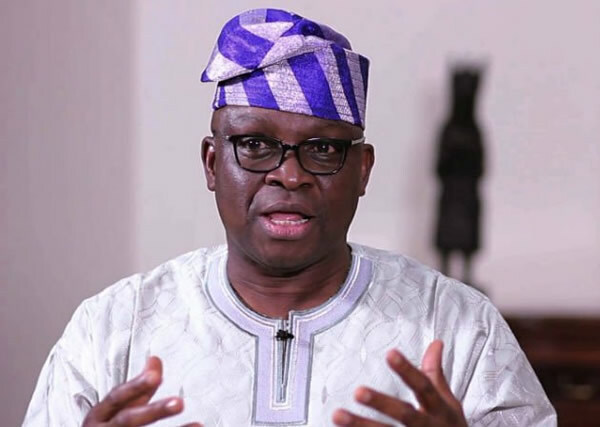 Home Governance YNaija2019: Maybe you should take Ayodele Fayose-for-President seriously? On the third anniversary of his victory in the 2014 gubernatorial elections, Ekiti State Governor, Ayodele Fayose held a rally at the Government House in Ado-Ekiti where he declared that he has sights next on the 2019 Presidency, vowing to defeat President Muhammadu Buhari. 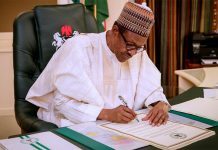 Governor Fayose, who has been a thorn in the flesh of President Buhari from the campaigns leading up to the 2015 elections till date, declared the Buhari administration a failure, lacklustre and “anti-Ekiti”, claiming that no provisions were made for the law in the 2017 budget. Fayose has a penchant for making extreme statements, theatrics and taking any position possible that is opposite of the Buhari administration. It is easy to also dismiss his presidential ambitions as a vacuous threat – but what if he is really serious? Fayose is in his second term as governor which ends next year, having served his first term between 2003 and 2006. That provides him the opportunity to contest for two likely positions: the Senate or the Presidency. So far, the only other person within his Peoples’ Democratic Party (PDP) that has expressed interest in running for that office is former Jigawa State governor, Sule Lamido. 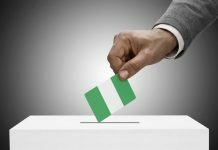 However, there are indications that the party is predisposed towards having a candidate from the North despite the fact that it controls only two out of the 19 Northern states – Taraba and Gombe States. It is common for politicians in Nigeria to keep their cards close to their chests until party primaries are in view to start declaring their ambitions openly. Before then, they are preoccupied with building alliances, strategy and constantly evaluating their options and chances. Despite this, other speculative aspirants that will likely battle out for the ticket of the party include Gombe State Governor Ibrahim Dankwambo who is also in his second term, and former party chairman Ahmadu Adamu Mu’azu. 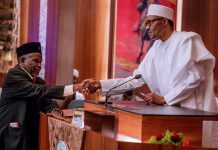 However, a lot can change in the year ahead with likely defections from the ruling All Peoples’ Congress (APC) should ambitious politicians see that there is no opportunity there to contest for the top office. As the only Southern politician to express an interest or even be linked with the ticket, can Fayose run against a wholly Northern field, even if the party decides to zone the ticket? Another huge problem that Fayose and all other PDP members will need to sort out is the issue of factionalisation within the party. Currently, the party is split into two – one led by the current National Chairman, Senator Ali Modu Sheriff and the other led by former Kaduna State Governor, Senator Ahmed Makarfi who is challenging the legality of the Sheriff-led executive. The challenge is currently at the Supreme Court and is awaiting judgment on the appeal filed by Makarfi against a Court of Appeal judgment that ruled Sheriff as the National Chairman of the party. Fayose, despite being among the key power brokers who had Sheriff installed as interim National Chairman in February 2016 has since made a turnaround to support Makarfi. The Supreme Court ruling will be a major factor in the future of the party and also the political careers of its members. There are already rumours afoot of the Makarfi faction considering a new party as an option B should they lose the Supreme Court case. Will Fayose be part of them? Only time will tell. It is only after all these are scaled that Fayose’s popularity within the party will be tested at primaries, and at the 2019 General Elections after that. So far, it looks like his popularity does not extend beyond his Ekiti State. In many other places, he is seen as an attention-seeking politician and something bordering on being an irritant. Can he overhaul this image to win votes, or can he use this image of being politically incorrect to win, in a similar manner to how Donald Trump did in the last US elections? As time goes on, it will be seen whether his declaration for the Presidency was an off-hand, spur-of-the-moment remark or one that he is really intent on pursuing. It will also be seen how he will navigate the roadblocks that lay between him and this goal.